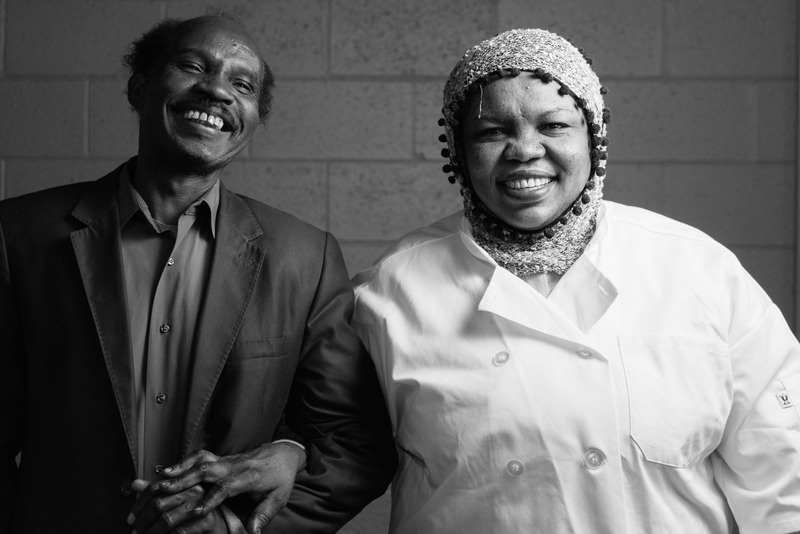 In early winter, I worked with the Spice Kitchen Incubator — a collaboration between the International Rescue Committee and Salt Lake County helping refugees and immigrants start restaurants. These budding restauranteurs needed some food pics and portraits for marketing and I was more than happy to help. I would work with people from Bhutan, Iraq, Jamaica, Sierra Leone, Sudan and Venezuela and document cuisine from their home countries. Before going into the photo shoots, I was warned that it might be difficult to get some of my clients to smile. There was a bit of a language barrier with some of them but I was still able to get a smile from everyone and I even caught some laugh out loud moments. Check out some of the portraits below.